Las Vegas, NV – October 31, 2014 – Lithium Corporation (OTCBB: LTUM) (the “Company”, or “Lithco”) is pleased to announce that PATHION Inc. has negotiated an extension of the Asset Purchase Agreement (APA) with our Company. PATHION now has until Jan 17, 2015 to fulfill its obligations under the APA. PATHION is a privately held, vertically integrated energetic applied materials and advanced battery technology company. Once closed, the APA with PATHION will provide us with capital to continue exploring for value in the basic materials sector with a primary focus on portable energy and energy storage related materials. Additionally, the equity position Lithium Corporation receives in PATHION leverages our company into the world of applied materials and advanced batteries. This APA provides the groundwork for continuing co-operation between the two companies and we believe that Lithium Corporation’s association with PATHION will be mutually beneficial in both the short and long-term. 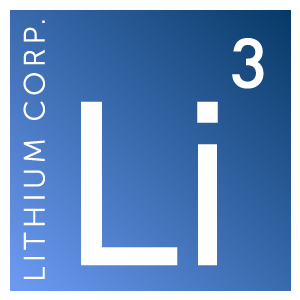 Lithium Corporation is an exploration company based in Nevada devoted to the exploration for new battery related resources throughout North America, looking to capitalize on opportunities within the ever expanding Lithium-Ion and next generation battery markets. Lithium Corporation maintains a strategic alliance with Altura Mining, an ASX listed coal producer who recently began production of Iron Ore from its Mt Webber property in Western Australia. Altura is currently searching for off-take contracts for its 100% owned world-class Pilgangoora lithium pegmatite property in Western Australia. This current report contains “forward-looking statements,” as that term is defined in Section 27A of the United States Securities Act of 1933 and Section 21E of the Securities Exchange Act of 1934. Statements in this press release which are not purely historical are forward-looking statements and include any statements regarding beliefs, plans, expectations or intentions regarding the future, including but not limited to exploring for value in the basic materials sector with a primary focus on portable energy and energy storage related materials, that any equity position Lithium Corporation receives in PATHION will leverage our company into the world of applied materials and advanced batteries, that the APA will provide the groundwork for continuing co-operation between the two companies, or that Lithium Corporation’s association with PATHION will be mutually beneficial in both the short and long-term.